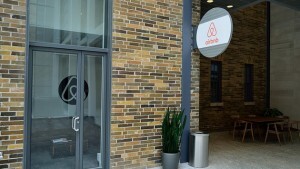 Since Airbnb's founding in 2008, our community has pioneered the development of the global sharing economy. In that time, we're proud that women Airbnb hosts have earned over $10 billion through our platform. UN Women points to the sharing economy as one transformation that can be leveraged to have a positive impact for women. Since Airbnb's founding in 2008, our community has pioneered the development of the global sharing economy. In that time, we're proud that women Airbnb hosts have earned over $10 billion through our platform. With the complications that forces like automation bring, Airbnb continues to serve as a powerful way for women to independently achieve greater financial, professional, and social empowerment. Brazil: $1,750 USD (5,840 Brazilian Reals). This extra income can be especially powerful in countries with developing economies. In Kenya, the typical woman host earns enough from Airbnb to cover over one-third of the average annual household expenditure. In India it covers 31 percent; and in Morocco, 20 percent. We estimate that over 50,000 women around the world have used Airbnb income to support entrepreneurship for themselves, launching a business or as direct investment capital for a new business they're starting. More women hosts than men hosts report that they use their Airbnb income to help afford their home, especially single mothers who host. Globally, 62 percent of single mother hosts report using their Airbnb income to help afford their home. Airbnb's partnership with Global Fund for Women supports mission-critical travel for women nonprofit leaders and activists to attend trainings across the globe. In our partnership with Vital Voices, Airbnb has been supporting the travel needs of extraordinary women entrepreneurs around the world to travel for market access opportunities, networking and professional development opportunities. Airbnb is also working with the Self-Employed Women's Association of India (SEWA), one of India's largest female trade unions comprised to promote women's rural livelihood opportunities.